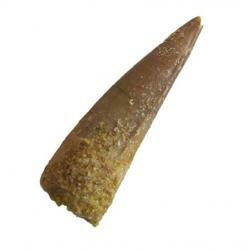 This is a huge Spinosaurus Tooth 4.5 inches long and more than 1.5 inches across the base of the tooth. It has some repair. It comes from Kem Kem, Morocco. This size tooth is becoming hard to find. Spinosaurus lived during the Cretaceous Period. 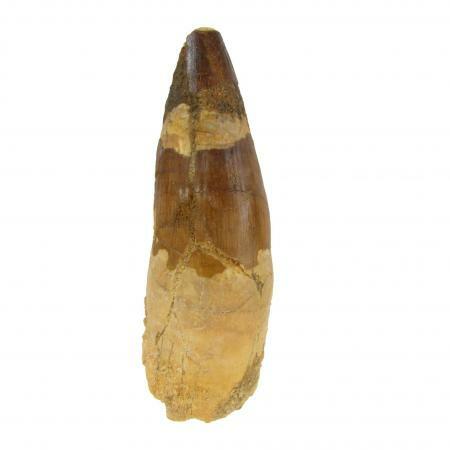 It was a large carniverous dinosaur.